Symphony Center is a music complex located at 220 South Michigan Avenue in the Loop area of Chicago, Illinois. Home to the Chicago Symphony Orchestra, Chicago Symphony Chorus, Civic Orchestra of Chicago, Chicago Sinfonietta, and the Institute for Learning, Access, and Training, Symphony Center includes the 2,522-seat Orchestra Hall, which dates from 1904; Buntrock Hall, a rehearsal and performance space; Grainger Ballroom, an event space overlooking Michigan Avenue and the Art Institute of Chicago. 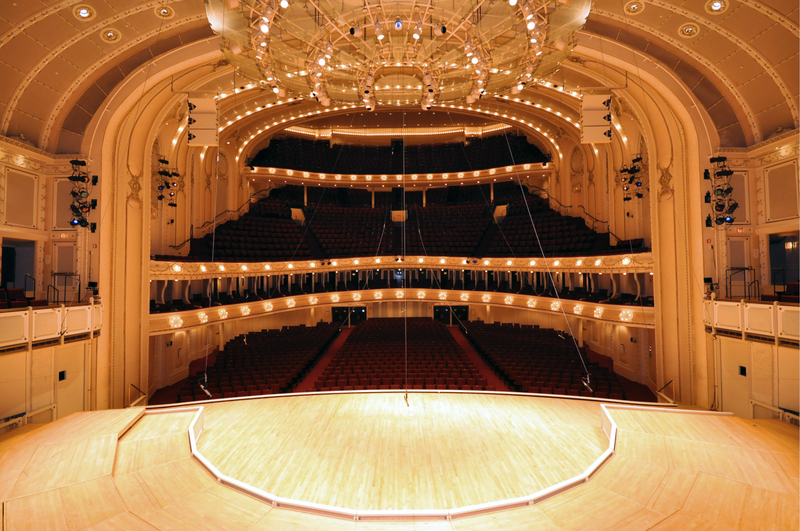 The Orchestra Hall at Symphony Center was designated a National Historic Landmark and has been listed on the National Register of Historic Places since 1978.